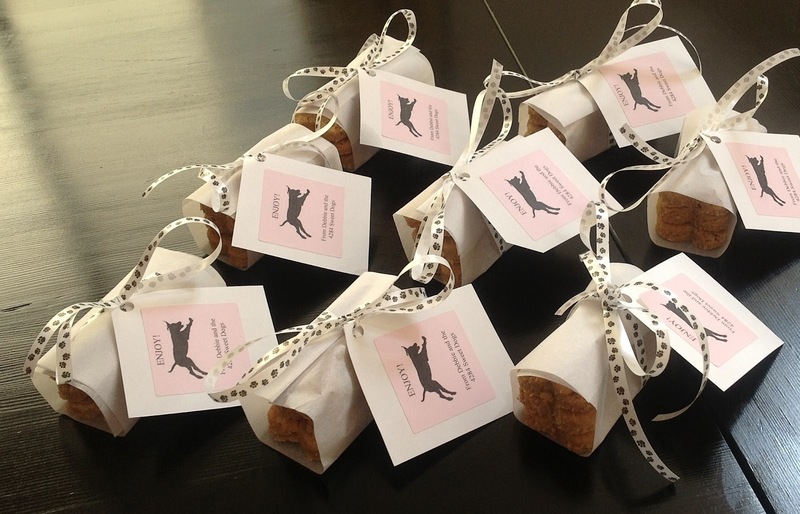 With my sweet son and his young wife so far away this Easter, I went a little crazy and made treats for all the dog in the neighborhood. I used the dog bone cookie cutter and wrapped three treats in a little parchment paper package topped with a bow and a tag. We filled the basket on my beach cruiser (bike) and delivered them. Sweet dog hero, Leo, was the Easter bunny, putting the treats in everyone's mailbox as I rode along side shouting directions. If you would like to make a treats for your own sweet dog, I used the recipe for Peanut Butter Dog Biscuits posted on Pink Pistachio. I used whole wheat flour and organic ingredients. My labs love them but then again ...Reggie just ate part of the kitchen towel. Happy Easter to you, your family and of course your pups. This is so cute!!! You dropped a pack of these off in my mailbox for Zoey and I just now looked up your website. Zoey loved them! Thanks!! !